TMS: Firstly, as a man who has played for and coached South Africa, been named one of the top ten all rounders of all time by ESPN Cricinfo and one of their Legends of Cricket, a legend down in Gloucestershire as well as in Natal, a man who has taken numerous hat tricks and often enjoyed a hundred before lunch, been a match referee so therefore it must be a massive privilege for you to be interviewed by the Middle Stump? MP: Not so sure about a privilege, I had a sneak peak at these questions you want to ask me. I think I am being stitched up here. TMS: What are you up to these days? MP: I have launched a foundation to take care of some seriously underprivileged children. Not only are the majority of them Aids orphans but a lot have been abused due to a lack of proper parenting. TMS: Tell us a bit more about the foundation? MP: I have been working with the good people at Ottawa Primary for 3 to 4 years now and when I first got involved I was shocked by the lack of support offered to these young kids. As orphans they are reliant on their school for their one meal a day, which was difficult enough to provide, but there was not even a mention of a sports programme. Ex Natal cricketer Rodney Malamba and myself were committed to helping these young kids to overcome the adversity of their circumstances by implementing a sports programme and teaching them cricket. The foundation has been set up to raise funds to create awareness of the plight of young children everywhere. We seek to assist schools who have similar challenges to Ottawa and to implement a sports programme and a community feeding scheme that empowers the children and their communities. All help and assistance is always greatly appreciated. TMS: Do you miss playing? MP: Definitely not, the brain misses it but what's left of the body says definitely not. TMS: Let’s cut to the chase – which of your team mates would throw the worst strop when they were out for a low score? MP: All the guys I played with were too well behaved to show any sign of strop, especially when I was in charge. TMS: I have heard stories about the legendary drinking ability of Trevor Quirk. Who was the worst and would fall over? MP: When things kicked off I would get fully involved so I can't really remember to name anyone in particular. 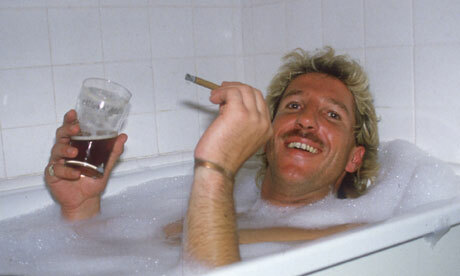 TMS: Who was the tightest team mate who would never buy a drink? TMS: You ended up with a Test bowling average of 15.02 which is unbelievable. Did you prefer batting or bowling? MP: Either, I always loved to be involved in the game, but batting was easier, my body tells me that bowling was very hard work. TMS: As a man who played in an era of great all rounders, who would you say was the best? Botham, Imran, Kapil Dev, Hadlee, Rice…any others? MP: Difficult to separate, Beefy was the ultimate match winner, Imran was the brilliant cricket brain and captain, Ricey the ultimate 100 percent trier. TMS: Who was the quickest you ever faced? TMS: Best sledge heard or received? MP: Marsh to Botham - "How's your wife and my kids", Botham to Marsh - "Wife's fine, children retarded"
TMS: Any batsman panned you all around the ground and you thought, I don’t want to bowl at this guy? MP: Never ever, I always tried to find a way. I never bailed out. In fact I once bowled to Graeme Pollock when he ended up with a huge score, a bigger hundred than even my figures represented. The further he hit me the faster I tried to bowl and the more I wanted to bowl. I think I bowled unchanged after Tea and ended with figures of 34 overs 0 for 140 odd. I was in peak condition at about 19 years old but the next day I could hardly get out of bed. TMS: The South African team of the 70’s had a lot of quality players. How good do you think they would have been, even taking Packer out of the equation? MP: Australia came to SA in 1970 having beaten India, thereby under the current rankings, we would have easily been rated the number 1 team in the world. We not only beat the previously triumphant Aussies in all four test matches but we did it by huge margins. That shows how good we were, bearing in mind that they were considered the best at the time, having retained the Ashes in England, beaten the West Indies at home and won a series in India. TMS: Do you regret being born in the era that you were? 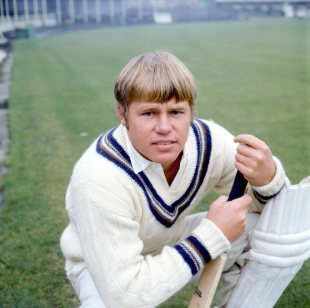 Say for instance you were born later you would be the modern day Jacques Kallis? MP: Kallis is a special player, a once in a lifetime cricketer, but he never had the advantage of seeing the world's greatest leader come through the most terrible adversity to rise to power. Nelson Mandela became my ultimate hero as I closely witnessed his challenges through the Apartheid years and ultimately his nation building powers that saved our country. I wouldn't trade that for anything. TMS: You walked off the pitch once in protest against apartheid. What happened there? MP: We had the opportunity and power to make a stand and go totally against the apartheid government in the 1970 Rest Of South Africa v Transvaal match. http://www.sahistory.org.za/archive/south-african-cricketers-walk-out-protest-against-apartheid-after-just-one-ball-bowled but that doesn't tell the whole story. TMS: Why was the truth not told about that game? MP: We kind of knew our test playing careers were over at the time and instead of just accepting our fate we wanted to make a stand. We were not going to play that game but we needed the public to support us in this stand against the government. Charles Fortune advised me that we should start the game as the public had paid good money to watch us, and then make a statement about our views, it would have far more impact and it would keep our supporters happy. It worked well as we, the cricketers of South Africa, had the opportunity to express our views which were that all players, of any colour, should be able to play for South Africa and that all players should be picked on merit, not the colour of their skin. TMS: Do you go back to Bristol much? MP: Yes every now and again, I am back there this summer for a game that Gloucestershire are hosting for my foundation on the 27th June. I am really excited about it and the impact the fundraising is going to have on the kids. TMS: How good were those hat tricks? MP: How much better can you feel, amazing? The B&H Semi final Glos v Hamps in 1977 to get to the final was the ultimate. TMS: We noticed that one of the hat tricks was all lbw. 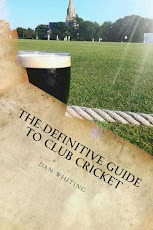 Did you do the old trick of standing at square leg between your overs and buttering up the umpire? MP: Of course, as captain you always field at square leg don't you???!!! TMS: Didn’t you take two in two weeks once? TMS: Your action was very chest on, and must have put a lot of stress on the body. How are the knees these days? MP: A lot of stress on the body is the understatement of the century. I have got bad shoulders and damaged knees now. I have had 2 ops on each shoulder, 5 ops on the right knee, including a replacement, and 1 op on my left knee, in fact I am going in for surgery next week Friday, for a torn cartilage that needs to be removed. TMS: What was it like being a match referee in a Test match? MP: The important thing to understand is you must be very fair to both sides in whatever disciplinary action you have to take, and I was involved in a few. TMS: What is it like playing in a one day final at Lord’s? MP: Absolutely fantastic, what amazing occasions. One of the other reasons is that we won both the finals. TMS: What were you taught against protecting yourself from the sun earlier in your career? TMS: What do you think of the work Melanoma UK do in educating young cricketers against the dangers of over exposure to the sun? MP: Can't answer the question as I spend most of my time in SA but kids must protect themselves against the sun these days. TMS: Best food on the circuit back in your day? 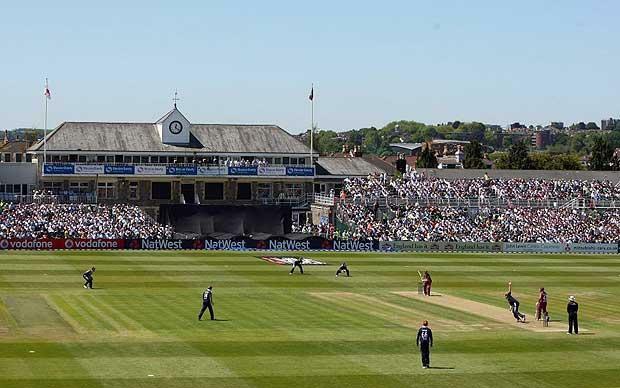 TMS: Favourite ground to play on? 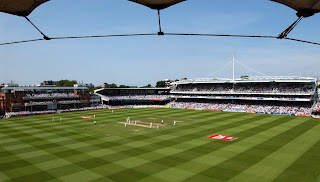 MP: Lord's is my favourite cricket ground in the world, in fact I am unbeaten there, 1970 ROW v England Test Match won, 1973 Gillette Cup Final Glos v Sussex won, 1977 B&H Final Glos v Kent won final as captain, 1991 One Day Final Northants v Leicester won as director of cricket, 1994 England v South Africa Test Match won as SA coach. Apart from it being an unbelievably special place, you can see why its my favourite ground. TMS: Best three youngsters coming through? MP: David Miller, Quintin de Kock and Virat Kohli should break tons of records. TMS: What does the future hold for Mike Proctor? Mike, you have been an absolute star and we wish you the very best with the foundation. Brilliant.Mike Proctor is a proper legend. The worst cricket wicket ever!! !